Dawn Edwards (United States) and Nicola Brown (Ireland) are the current co-administrators of Feltunited.com, a portal for the international felt-artists community. We’ve been friends for many years, having initially met online through feltmaking connections. We’ve each traveled to, and taught in, one another’s country, and always have a great time together…as well as sharing many laughs. It’s amazing that true friendships can indeed be cultivated through the wonders of the internet, and also that we’ve had many wonderful opportunities present themselves through the gift of feltmaking. Felt United is another marvelous component which adds to our friendship. Thank you Elis Vermeulen and Cynthia Reynolds for giving us this fantastic opportunity to continue your dream of Felt United. 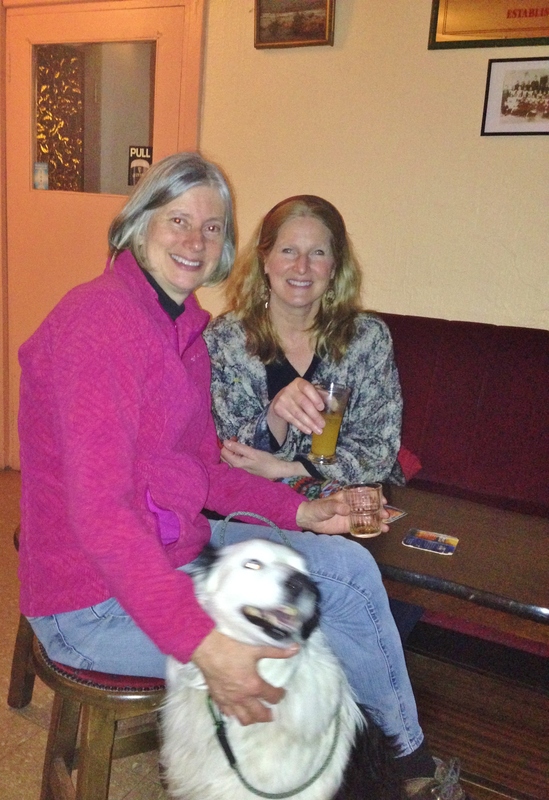 At the pub down the lane from Nicola’s house in Ireland. 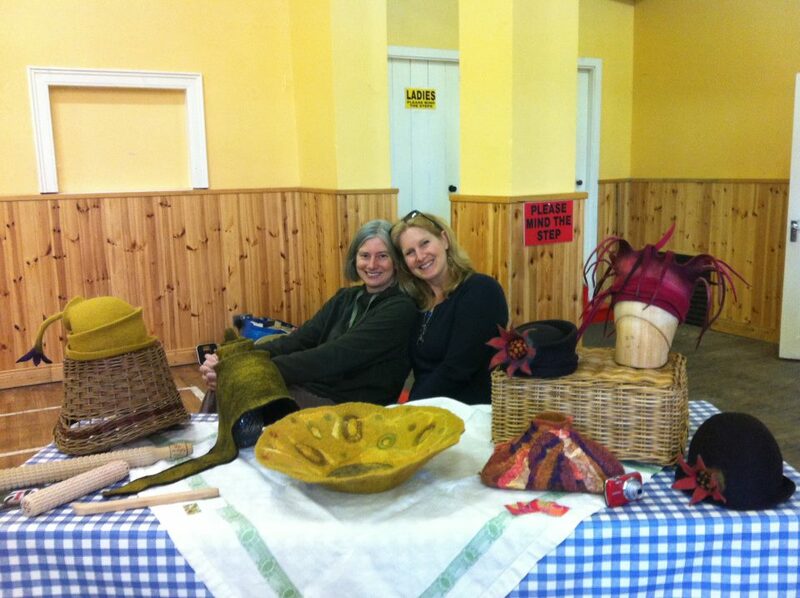 Nicola and Dawn at the Borris Food and Craft Market, Ireland. 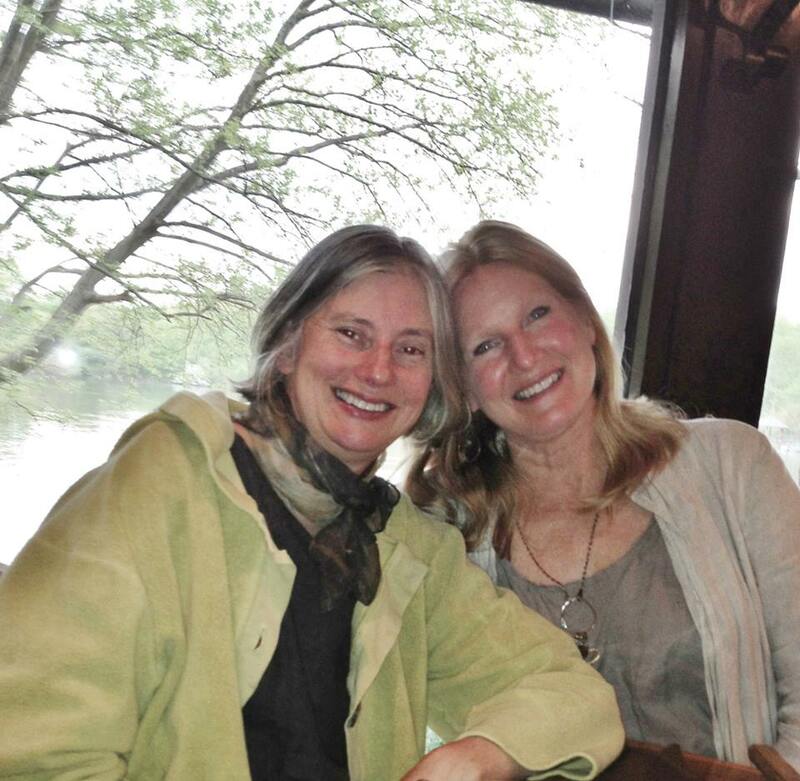 Nicola and Dawn at a restaurant in Kalamazoo, Michigan. 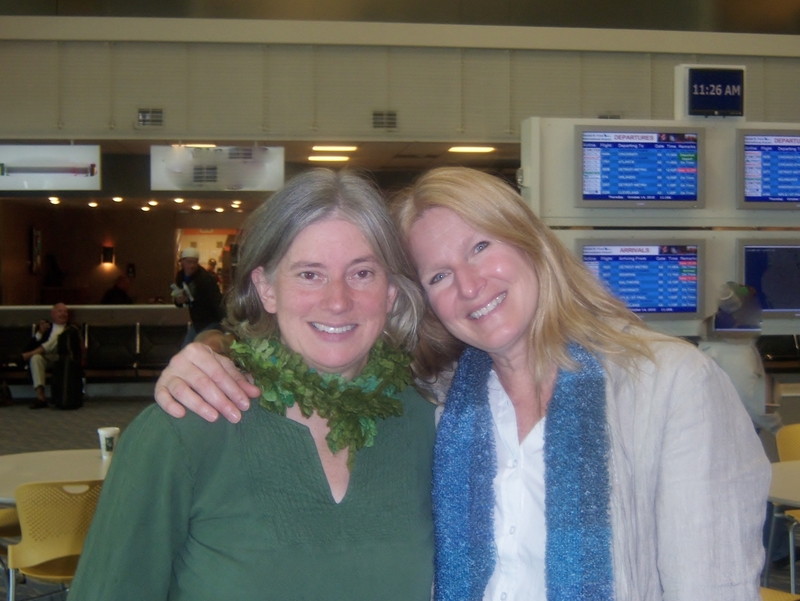 Nicola and Dawn at the Gerald R Ford International Airport, Grand Rapids, Michigan airport.